Welcome to the Brand New Look Souths Sports Club. Check out our entertainment line-up in with some of the most talented artists from South East Queensland performing live and free every week in the Lounge area plus Morning Melodies, Karaoke, Rock n Roll nights as well as Major shows. With so much happening, there is sure to be something for everyone. The newly refurbishes Souths Sports Club has an exciting bistro, cafe and bar area offering wonderful light meals, pizzas and a range of mouthwatering treats, as well as your familiar beers, wines and spirits. 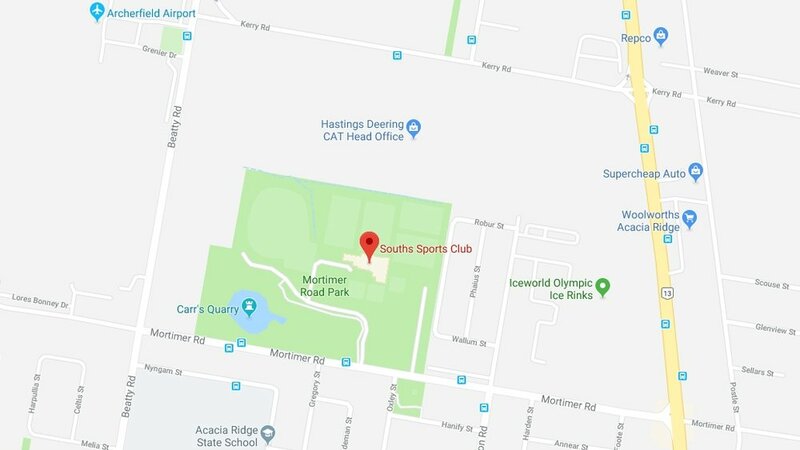 With 3 function spaces to choose from, Souths Sports Club can cater from small business and training meetings of 10 clients up to large wedding events up to 500 people and everything in between. For more information download our Functions kit or browse our Functions section from the main menu.